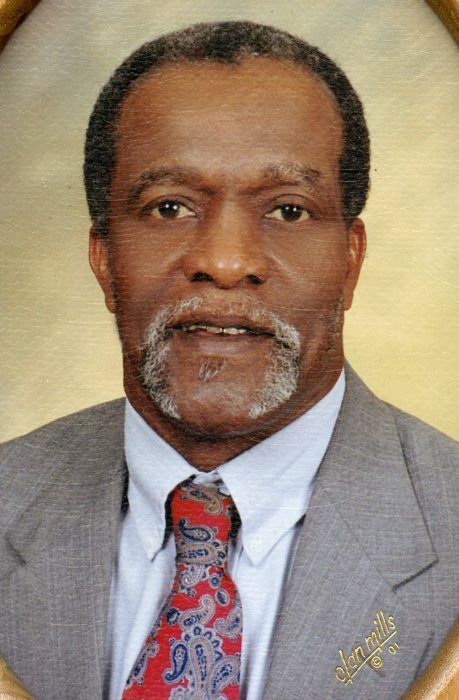 Mr. James Henry McCullers, 76, of Raleigh, NC departed this earthly life on Monday, January 28, 2019. James began his earthly life on December 31, 1942 in Wake County, NC. He was the son of the late John Allen and Topsie Cooper McCullers. On January 28, 2019, God dispatched his Angels and called him from labor to reward. James joined St. Anna Freewill Baptist Church at an early age and accepted Christ as his Lord and Saviour. He served diligently on the Trustee Board and held the office of Chairman for over a decade. He also served as a Parking Lot Attendant, church collector; and ensuring the upkeep of the building were just a few of the duties he performed. From time to time, he could also be found singing with the Male Chorus. James began working at United Restaurant Equipment Company over 50 years ago and celebrated his retirement in May of 2018. He enjoyed being employed with the company and considered all of his colleagues to be his family. James was preceded in death by three brothers, Jimmy, Thurman and Robert McCullers; two sisters, Dorothy “Sota” Wilson and Linda “Pinky” Greene. James will be greatly missed by his family and friends. He leaves to cherish his memories; his wife of 51 years, Mary Jones McCullers; three sisters, Frances Carrington, Gracie McCullers and Christiana Pettiford, all of Raleigh; three sisters-in-law, Viola McCullers, Pearl McCollum and Sarah Walton, all of Raleigh; two brothers-in-law, Ernest Leach (Pearlene) and Edward Jones (Carlene), both of Raleigh; several nieces, nephews, cousins and a host of special friends. Funeral services will take place on Saturday, February 2, 2019 at St. Anna FWB Church, 11705 Old Stage Rd, Willow Springs NC at 12:00 PM with visitation preceding the service at 11:00 AM. Interment takes place at Carolina Biblical Gardens. Public viewing will take place on Friday, February 1, 2019 at Haywood Funeral Home from 2-8 PM.